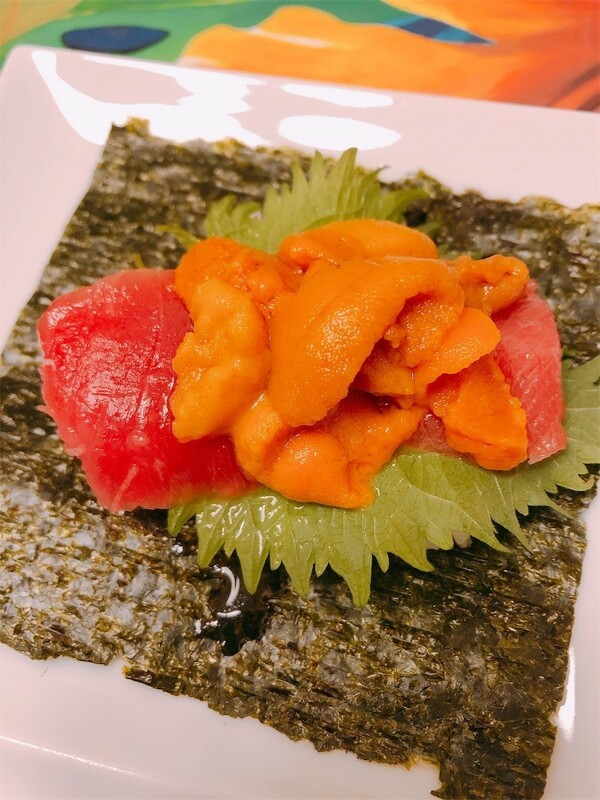 教訓：ふるさと納税は、やっぱり北海道が圧倒的に魅力的なもの多い。　In Furusato-nouzei, donation to local governments, Hokkaido foods is overwhelmingly attractive. 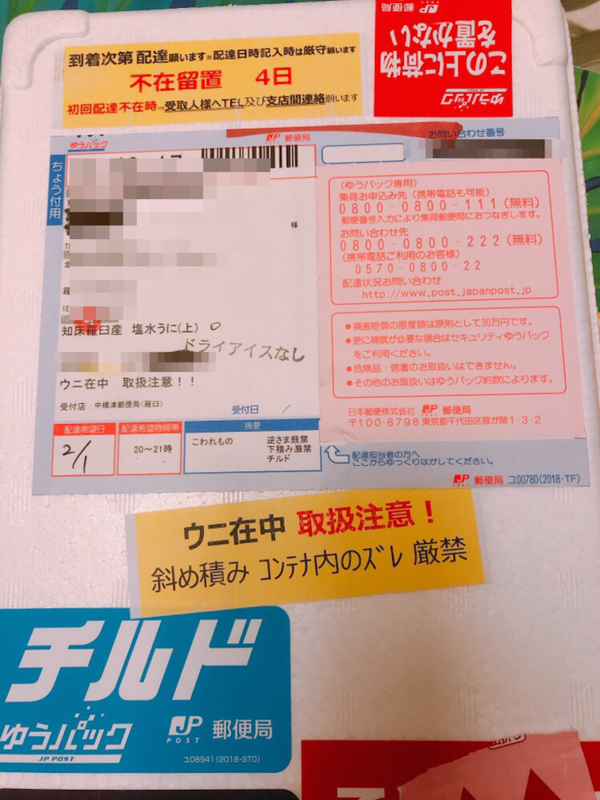 教訓：自営業だからって平日なめんなよ Even if you are individual business owner, weekday could be occupied with job. 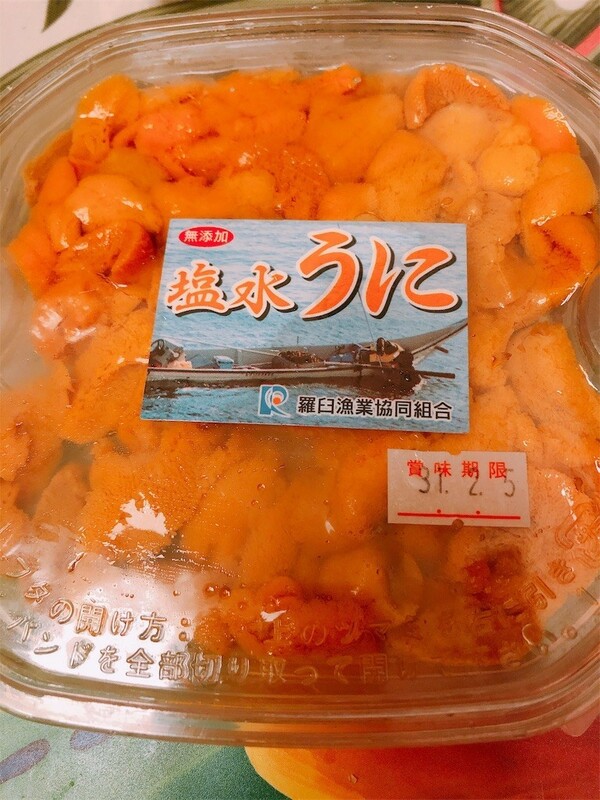 おねがい：チルドの意味分からない人もいるため「冷蔵」表示キボンヌ Because some people do not know the meaning of "chilled," it should be written "refrigerated" in Kanji, Chinese character. 教訓：ふるさと納税は単に還元率だけでなく地元の方々の思いが伝わることが大事。It is important that not only refund rate but also reaching heart and energy of the local people to a taxpayer who donated. 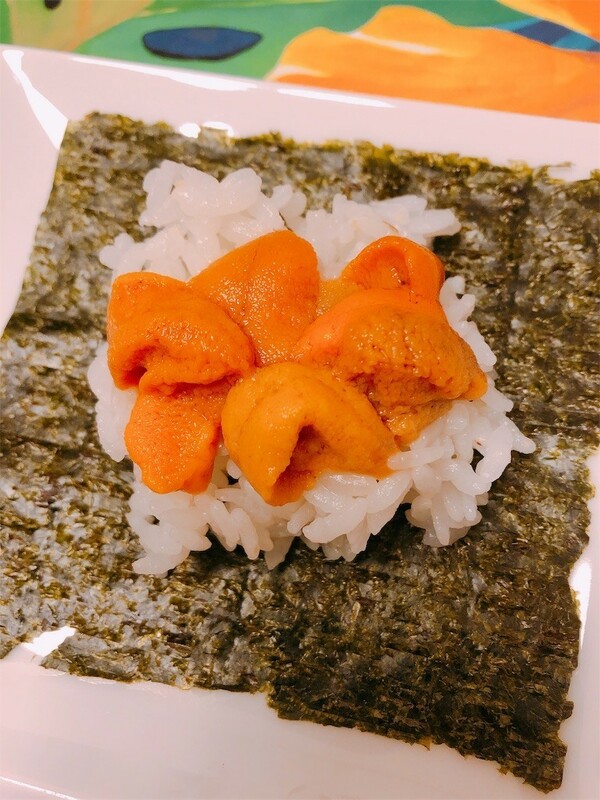 Uni, sea urchin that immersed in salted water from Rausu-town is awesome. However there are a couple of matters must be followed. Pay attention to be available your schedule for receiving parcel, and put it to refrigerator soon.